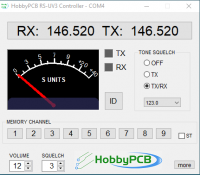 The HobbyPCB RS-UV3A radio module is a 144/220/450 MHz FM transceiver board. The RS-UV3A is a low cost transceiver solution for Packet Radio, repeaters, Echolink stations, base station and mobile applications. The RS-UV3A supports multiple interfaces including microphone/speaker, line level audio (soundcard), TTL serial control, Arduino Shield connections and USB. 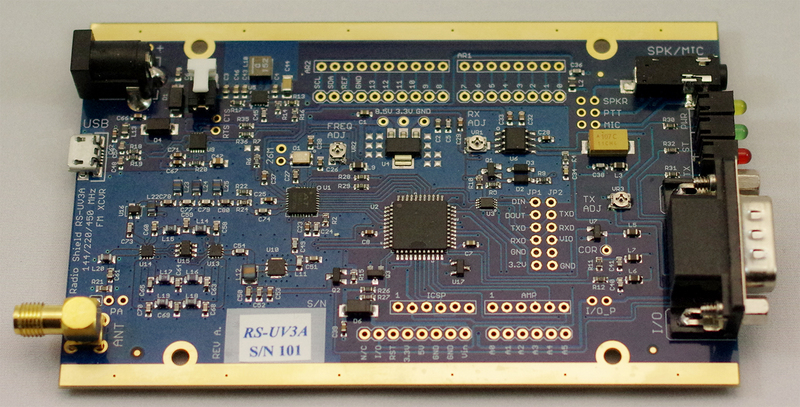 The RS-UV3A provides conditioned power for the Arduino controller.